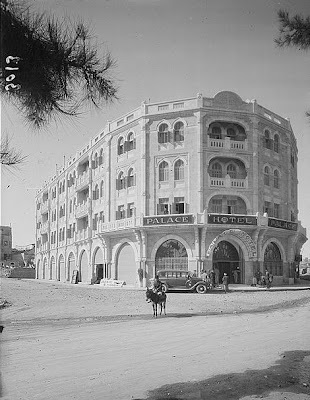 When the Mufti of Jerusalem Haj Amin el Husseini built the Palace Hotel in 1929 he spared no cost. After renovating the Muslim sites on the Haram el Sharif (Temple Mount), he sought a palatial luxury hotel for visiting rulers of the Muslim and Arab world. He had no compunction about using funds from the Muslim religious trust. Husseini hired a Turkish architect, Jewish contractors and Egyptian stonemasons to build the hotel which was completed in only 11 months. Early in the construction, one of the Jewish contractors wrote in his memoirs, workers discovered buried human remains, apparently from an ancient section of the Mamilla Muslim cemetery across the road. Husseini instructed the contractor to quickly and quietly rebury the bones lest his political rivals discover the desecration. But they did find out, and a nasty public relations and religious court battle ensued. The hotel was unable to compete with the plush King David Hotel a few blocks away and closed its doors in 1935. The building was expropriated by the British Mandate Government. 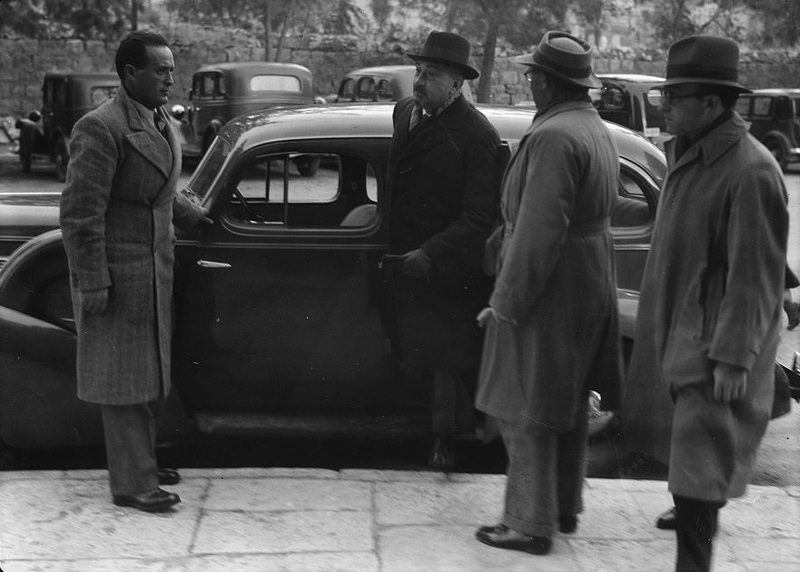 The Mufti was a rabid Arab nationalist and political rabble-rouser. He incited anti-Semitic rioting and massacres against Jews in Palestine and led the anti-British Arab revolt in Palestine between 1936 and 1939. 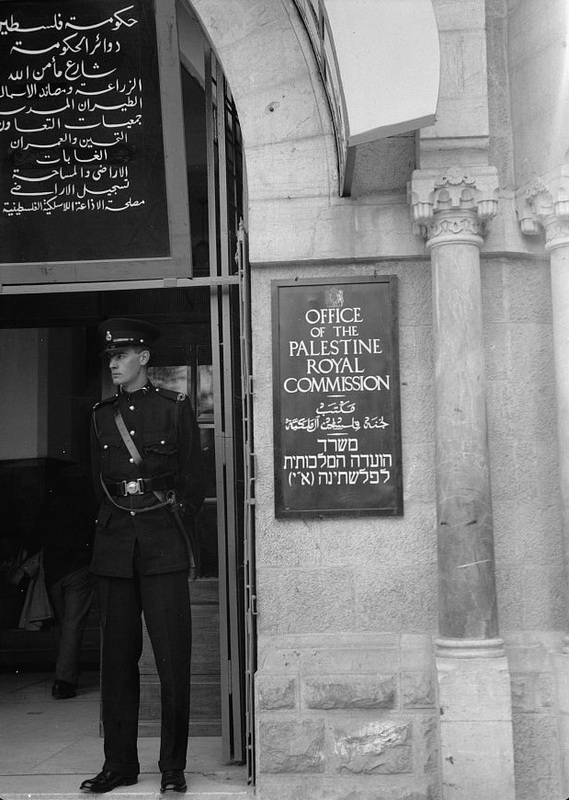 ﻿ In 1936, the British Mandate Government conducted hearings of the Palestine Royal Commission in the former hotel. The hearings, also known as the "Peel Commission," investigated the causes of the Arab violence. Husseini testified, representing the radical Arabs. Opposite him appeared Chaim Weizmann, representing the Jews of Palestine. 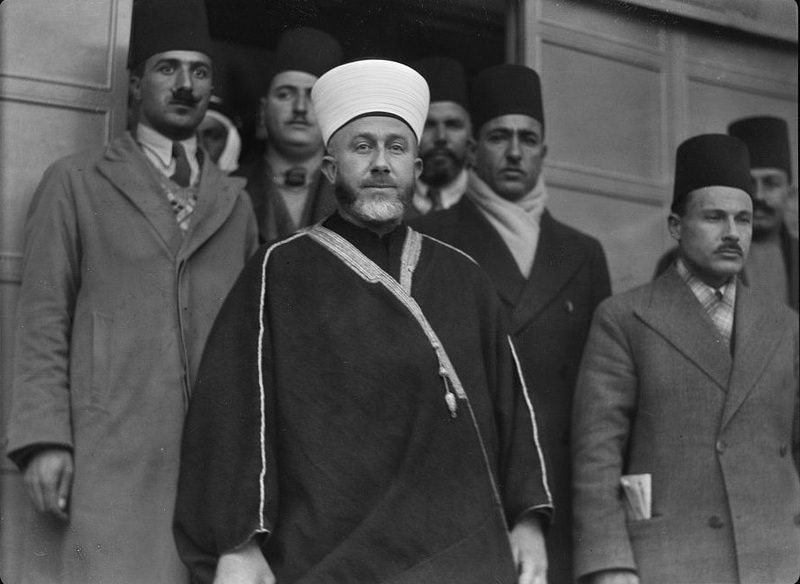 ﻿﻿ When the British attempted to arrest the Mufti in 1937 he fled Palestine, and the British made do with confiscating his property. The Husseini clan owned several well-known buildings in Jerusalem, among them the Palace Hotel, the Orient House, and the Shepherd Hotel in Sheikh Jarrah on a plot of land known as Karam al Mufti, named for Husseini. After the British departed Palestine in 1948 and Israel's creation, the Palace Hotel became Israel’s Ministry of Industry and Trade. Click on the captions to view the originals. i just encountered with a stor about the panarabism summit held in Palestin in the 30's. al0Husyani was mentioned memerized with its immaculate Israel wuality builders.